Beginning with this issue, we will be expanding our coverage of cities featured in Car Free Journey. We always include information to help visitors who don’t want to drive. But how ecologically healthy is each of our spotlighted cities? To help answer this question, and also help any of you who might consider moving to our featured city, we will include WalkScore.com’s rating of walkability for the city. We will include information about the most walkable neighborhoods in each city, and the walk score for each one. Frequently, transit scores and bikeability scores are also rated by Walk Score.Com and we will include those ratings when they are available. This will add to Car Free Journey’s value, and make it an even more valuable resource for both visitors, and anyone considering moving to that community—as well as residents who want to move to a new neighborhood or community where a car may not be necessary. Please let us know if you like these changes, and any other comments or suggestions you may have for Car Free Journey, including any cities you would like to see featured in a future column. Send your comments to steveatlas45@yahoo.com. Thanks. Now, let’s begin this month’s Car Free Journey to our featured city: Atlanta, Georgia. The South’s largest city is well known for its Southern hospitality, many in-town neighborhoods, and top-notch attractions and activities offering rich experiences for nearly any interest you may have. Centennial Olympic Park, Downtown’s centerpiece, is marked by the Fountain of Rings: an everlasting reminder of the Centennial Olympic Games. The Atlanta Streetcar is Atlanta’s modern-day trolley, carrying passengers from the convention and entertainment district to the city’s east side. Attractions at Pemberton Place include the popular Georgia Aquarium, World of Coca-Cola and the Center for Civil and Human Rights. Basketball enthusiasts can watch the National Basketball Association’s Hawks and the Women’s National Basketball League ‘s Atlanta Dream at Philips Arena. If you are a baseball fan, take time to see the city’s Atlanta Braves play at Sun Trust Park. In Atlanta, chef-run restaurants dish up modern American cuisine in strikingly beautiful spaces. Among the cutting edge eateries are cozy diners, cafés and bistros. Locally-owned craft breweries sprinkle the city, creating an unofficial brewery trail for visitors to enjoy. Culture and the arts are important here. 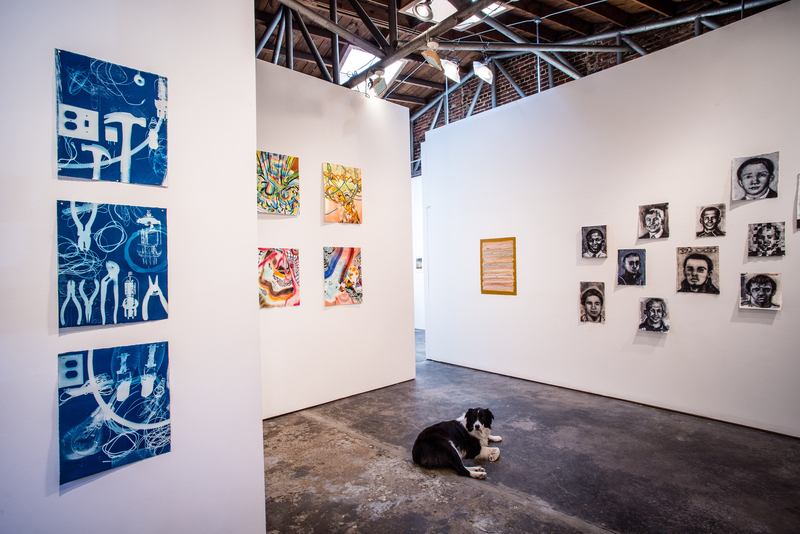 Emerging artists and designers are present in the city’s galleries and boutiques. Atlanta boasts an award-winning symphony, opera and ballet. The city hosts nationally-acclaimed touring shows and world-class exhibitions. Do you enjoy theatre and music? Catch homegrown talent at many local playhouses, theatres and neighborhood music venues. Atlanta is the capital of the South, and its in-town neighborhoods are what makes the city so charming. 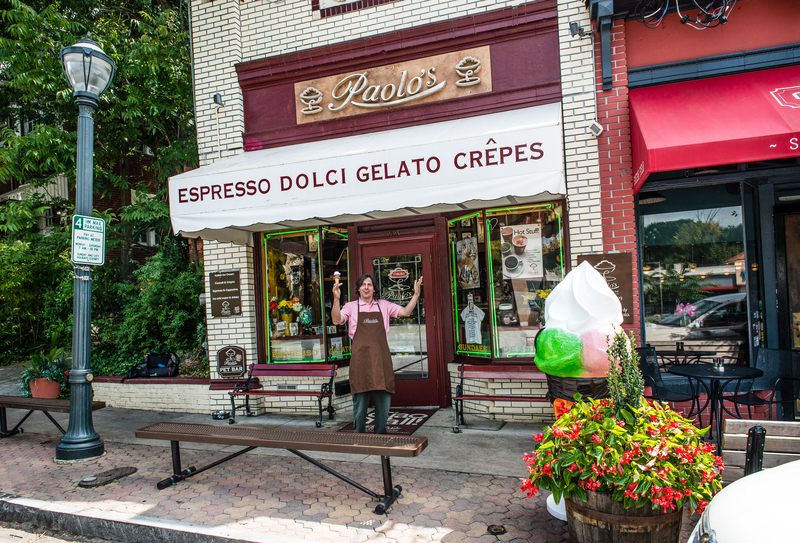 Each locale brings a unique flavor to the residential streets, shops and chef-owned eateries of its community. In the heart of the city is Downtown. It’s a livable center, populated with residents, business travelers and tourists. Downtown is home to hotels and a multitude of dining options. Here, you will find world-class attractions that surround Centennial Olympic Park including Georgia Aquarium, World of Coca-Cola, CNN global headquarters, Children’s Museum of Atlanta, Center for Civil and Human Rights, College Football Hall of Fame and Chick-fil-a-Fan Experience within steps of each other. Downtown is a gateway to any visit and is an ideal place to start exploring the city. Just southwest of Downtown, Castleberry Hill etches out a space among former warehouses. The community is made up of local artists and entrepreneurs including Atlanta Movie Tours, which offers tours of locations from The Walking Dead, The Hunger Games and other popular films. Here, art galleries mix with organic garden spas, wine bars and tapas lounges. Locals and visitors enjoy lively 2nd Friday art walks where local businesses open their doors for drinks, music and fun. Midtown is known as Atlanta’s “heart of the arts” and sits along the famed Peachtree Street. Mixing elegance with cultural attractions, Midtown boasts the largest concentration of arts facilities and organizations in the Southeast with 25 different arts and cultural venues, more than 30 permanent performing arts groups and 22 various entertainment facilities. 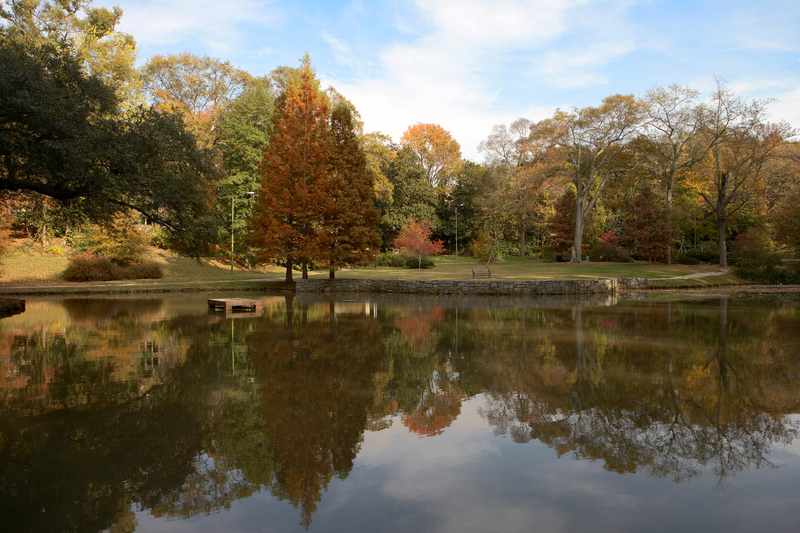 Midtown is also home to Piedmont Park, one of the largest greenspaces in the city. North of Midtown is the ultra-chic neighborhood of Buckhead. This upscale neighborhood is the “Beverly Hills of the East” and is a shopping haven for fashionistas across the South. It blends boutiques and galleries with fabulous dining. The ultra-lux shopping district of The Shops Buckhead Atlanta combines the walkable, tree-lined streets of Paris with the haute shops of Rodeo Drive. From nearly any location in Buckhead, it’s an easy stroll to an award-winning restaurant where foodies indulge. On the Westside, a blending of Georgia Tech culture with nearby loft communities has created a new district within old industrial spaces. This district has become a magnet for foodies, design enthusiasts and shoppers. Like other Atlanta neighborhoods, the dining scene is thriving here. Nearby top-rated JCT. Kitchen & Bar, The Optimist, Miller Union and Antico Pizza Napoletana create a collective of eateries catering to the city’s sophisticated palate. 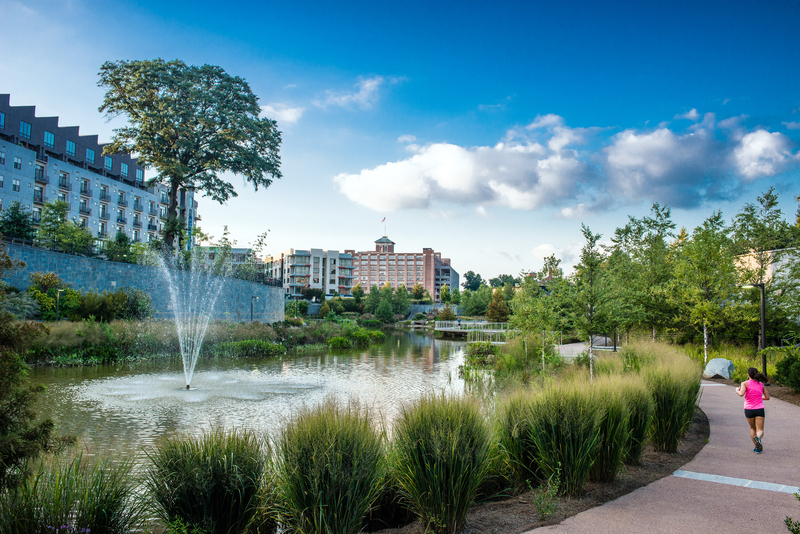 Neighborhoods on Atlanta’s Eastside are connected by the Atlanta BeltLine Eastside Trail: a multi-use trail and greenspace that runs 2.25 miles from Piedmont Park to Irwin Street. Tattooed locals, creative street art and historic homes come together on this side of town. Locals stop for a pastry at Alon’s in Virginia-Highland, which was one of the city’s original streetcar suburbs. The Plaza Theatre is Atlanta’s oldest operating cinema and has been named one of the world’s best movie theaters. Inman Park combines small urban green spaces with winding boulevards lined with colorful Queen Anne and Victorian homes in the city’s first planned suburb. The classic architecture and landscape designs jut up against the skyscraper backdrop. The scene edges into a Bohemian style in Little Five Points, where vintage dress matches the creativity of tattoos. While spots like Junkman’s Daughter have become de rigueur for the young, others can’t resist the kitschy places like Star Community Bar and Vinyl Lounge, complete with a shrine to Elvis. However, all is not grunge here. Performing arts venues such as 7 Stages and Variety Playhouse lend artistic authenticity to Little Five. What’s old is new again in Old Fourth Ward, where this neighborhood continues to redefine itself. 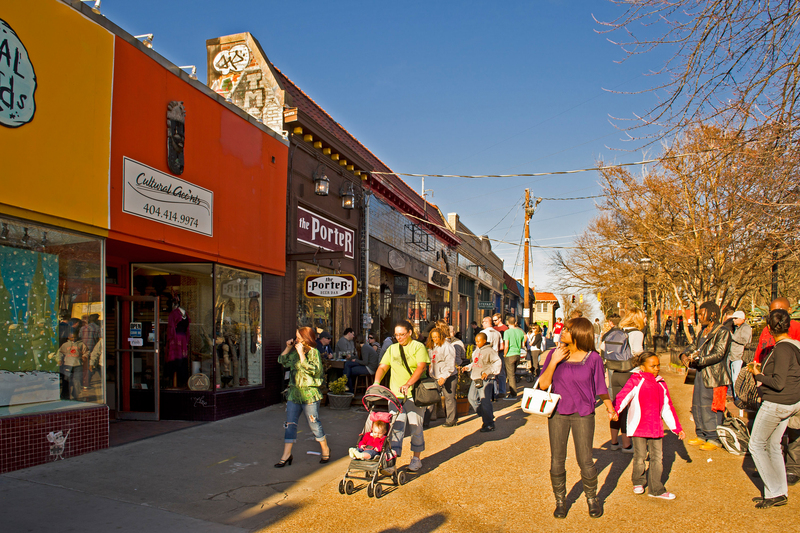 Edgewood Avenue has experienced a resurgence, transforming into a hotspot for nightlife. This street has several options for enjoying the night including Joystick Gamebar, Sister Louisa’s Church of the Living Room and Ping Pong Emporium and The Sound Table. Grant Park is a historic district surrounding the city’s fourth-largest park and is home to historic Oakland Cemetery and Zoo Atlanta. This neighborhood mixes old with new, gracefully speckled with Victorian homes, local shops and restaurants. The city’s rich history comes to life in Sweet Auburn Historic District on the city’s southeast side. This was once the wealthiest black community in America. 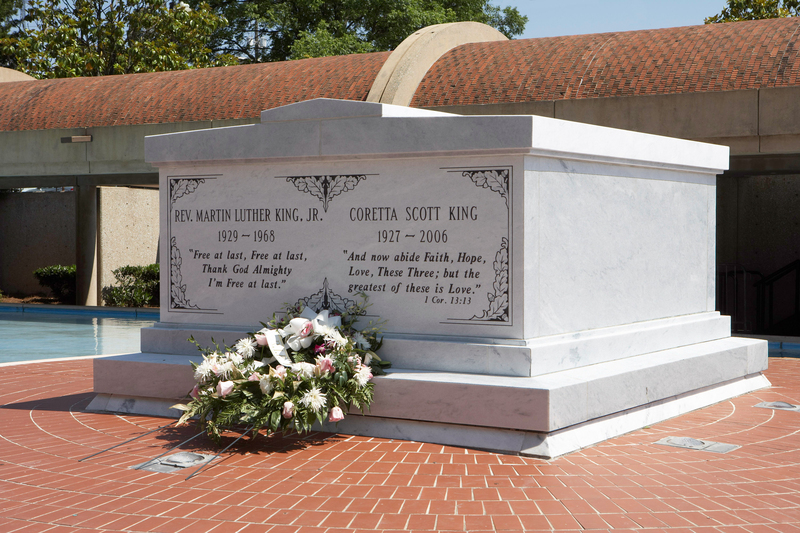 The area is a focal point for the American civil rights movement, as the Martin Luther King Jr. National Historic Site and Ebenezer Baptist Church are located within the district. 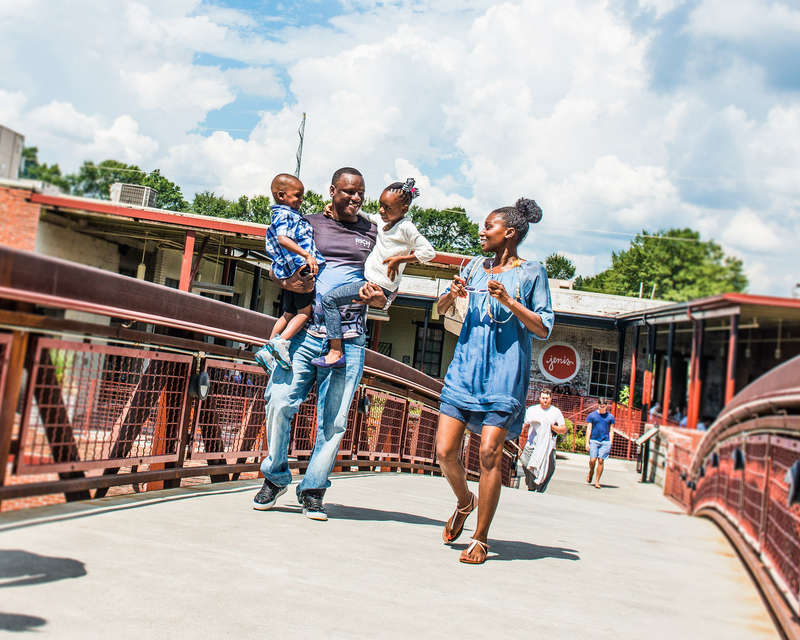 Once an epicenter of African-American commerce, Sweet Auburn Historic District continues to flourish on the city’s southeast side. Auburn Avenue, known in the 1950s as the nation’s most affluent African-American street, houses a curb market, bakeries and clubs near the Martin Luther King Jr. National Historic Site and Ebenezer Baptist Church. How Ecologically Healthy is Atlanta? Atlanta’s success was described in an article in the February 21, 2001 issue of The Journal of the American Medical Association. The authors studied children who lived in the five central counties of metropolitan Atlanta, before, during, and after the 1996 Summer Olympic Games. The authors had a unique opportunity to study the relationship between automobile traffic, air quality, and asthma morbidity. Preparations for the Olympic Games required a strategy for minimizing road traffic congestion and ensuring that spectators could reach Olympic events in a reasonable amount of time. The more than 1 million visitors coming to Atlanta to see the Games could have increased the region’s existing air quality violations for ozone pollution that occur each summer. Atlanta developed an integrated 24-hour-a-day public transportation system, added 100 buses to provide park and ride service, encouraged downtown employers to offer alternative work schedules and telecommuting, and reduced daytime traffic downtown by encouraging evening deliveries and closing downtown Atlanta to private automobiles. The city also gave public warnings of potential traffic and air quality problems. During the Summer Olympics, automobile traffic in downtown Atlanta decreased 20 percent, while the ozone level decreased 30 percent. Among children ages 1-16 in the Georgia Medicaid claims file database, the number of asthma emergency care visits and hospitalizations decreased 41.6%. For HMO enrollees, the number of asthma-related emergency department visits, urgent care visits, and hospitalizations decreased 44.1% during the Summer Olympics. Asthma-related visits to 2 large pediatric emergency departments in Atlanta decreased 11.1%, and citywide hospitalizations for asthma were reduced by 19.1%. How Walkable and Eco-Friendly is Atlanta Today? Walk Score, on its website: https://www.walkscore.com/, gave the city of Atlanta a Walkability rating of 48 (out of a possible 100), a Transit score of 44, and a Bike Score of 50. Use MARTA rail whenever possible. Schedules are frequent, and many of the most popular attractions and neighborhoods are within a short walk of a MARTA station. If you are considering living in Atlanta without a car, use suggestions 1 and 2. There are also several other neighborhoods in the city with lower scores than the 8 neighborhoods already listed, but still high enough to consider for living here. Go to https://www.walkscore.com/GA/Atlanta%23 and select All Neighborhoods. Click on a neighborhood for detailed information about its Walkability, Transit Score, and Bike Score. Visit http://www.beltlandia.com for information about the growing network of bicycle trails and parks near the Beltline in Atlanta’s East Side. Click on neighborhoods (or go to http://beltlandia.com/neighborhoods/) for a list of neighborhoods near the Beltline. According to Walk Score, the following neighborhoods have fairly high Walk Scores (72-88), but only medium Transit Scores (45-58): Cabbagetown, Inman Park, Poncey-Highland, Reynoldstown, Old 4th Ward, and West End. By Train: Amtrak’s Atlanta station is located at 1683 Peachtree St. NW, Atlanta GA 30309. MARTA local bus 110 serves the Amtrak station seven days a week. It is just a short ride to MARTA’s Arts Center station. You can also walk to the Arts Center station from Amtrak in about 20 minutes. Also called “The Peach”, Bus 110 has views of the famous Peachtree Street and Peachtree Road from downtown to Buckhead. You can see a great deal of both historic and modern Atlanta from your seat. Stops off this route include the Shakespeare Tavern, The World Famous Chicken and Waffles, Fox Theatre, Midtown business and nightlife district, Margaret Mitchell House and Museum, Woodruff Arts Center, the Amtrak station, Peachtree Battle shopping area, Atlanta History Museum, Buckhead Theatre, Buckhead business district and Lenox Square Mall. It is also one of the more frequent bus routes, though traffic can be heavy. Get a daily pass so you can spend your day exploring with unlimited rides. There are also several hotels off this route, which can make seeing the sights convenient. Greyhound’s Atlanta station, 232 Forsyth St., is next to MARTA’s Garnett Station. Megabus’ Atlanta Station is next to MARTA’s Civic Center station. Hartsfield-Jackson Atlanta International Airport is the most traveled airport in the world with direct, nonstop service to more than 150 U.S. destinations – 80 percent of those within a two-hour flight – and more than 75 international destinations in 50 countries. With MARTA train service located inside the airport, you won’t need a car to get from the airport to downtown. All trains departing the Airport MARTA station go northbound and stop at Five Points, Peachtree Center, Civic Center, North Avenue, Midtown, Arts Center and Lindbergh Center (plus all stations between the airport and downtown Atlanta). If any of those stops are your destination, get on the first departing train. Board a Doraville train if you are going to Lenox, Brookhaven, Chamblee or Doraville. Board a North Springs train if you are going to Buckhead, Medical Center, Dunwoody, Sandy Springs or North Springs. After 8:30 p.m., you can only get to Buckhead, Medical Center, Dunwoody, Sandy Springs and North Springs via the Lindbergh Center MARTA station. If you reach the Airport MARTA station after 8:30 p.m., get on the first train that departs the airport and travel to Lindbergh Center and transfer to a North Springs train there. Children 46 inches and under can ride MARTA for free. Limit two children per paying adult. Senior Citizens, Disabled Riders and Medicare Recipients pay $1.00. For more information about MARTA (Metropolitan Atlanta Rapid Transit Authority), visit www.itsmarta.com, call (404) 848-5000, or email custserv@itsmarta.com.MARTA’s Twitter handle is: @martaservice and MARTA’s CEO/GM tweets under the handle @CEOMARTA. MARTA also has a mobile application for smartphones to keep up with train/bus schedules: MARTA on the Go, and a Say and See application that keeps MARTA passengers safe as they use the system. https://martaguide.com/ This is a helpful guide for using MARTA to get to important attractions. https://martaguide.com/marta-trip-planning-options/ Use this before your visit here, if possible. Five MARTA bus routes are especially helpful for visitors. This link describes each route. other points of interest near each station. Another option is to consider staying at a hotel within walking distance of a MARTA rail station. Three neighborhoods worth considering are Airport, Buckhead, and Midtown. For information about hotels in these three neighborhoods (all are within walking distance of one or more MARTA rail stations), go to http://www.atlanta.net/hotels/by-neighborhood/. Head to Highland Bakery for gourmet coffee, fresh-baked pastries and Southern breakfast staples. The Atlanta BeltLine is the most comprehensive transportation and economic development effort ever undertaken in the City of Atlanta. It’s among the largest, most wide-ranging urban redevelopment programs currently underway in the U.S. 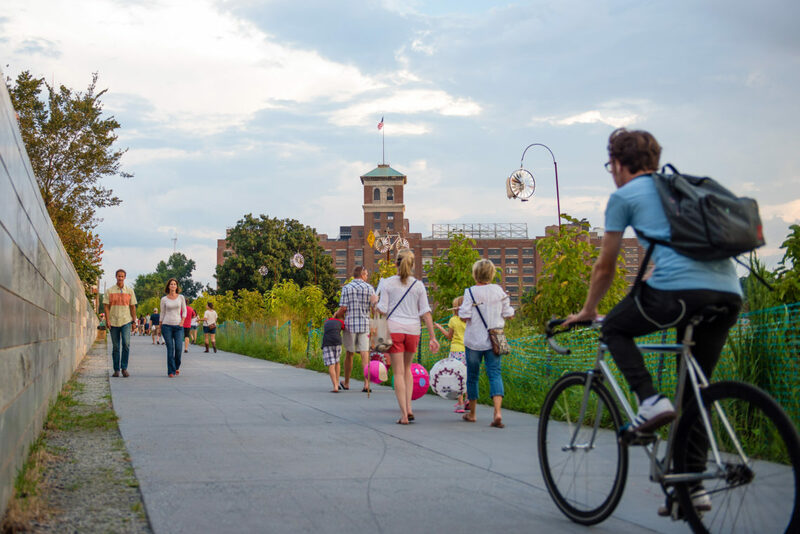 The BeltLine is a sustainable redevelopment project that provides a network of public parks, multi-use trails and transit along a historic 22-mile railroad corridor circling downtown and connecting many neighborhoods directly to each other. The Eastside trail is a 2.4 mile segment bustling with locals and peppered with unique art. Housed in the fully renovated 1925 Sears, Roebuck & Company building, the largest brick building in the Southeast, this urban market will feature a central food hall, leading retail brands, and living and working spaces. The World of Coca-Cola is a highly visual and interactive museum dedicated to Atlanta’s native soda, Coca-Cola. The museum features a multi-sensory theater, an 1880s soda fountain, the smallest bottling line in the world and an opportunity to sample more than 100 beverages from around the globe. * Closes at 5 p.m. Walk next door to North America’s largest aquarium, Georgia Aquarium. This popular Atlanta attraction features aquatic animals from around the globe and more than 10 million gallons of water. * Closes at 8 p.m. Journey into the heart of CNN Worldwide for an exciting glimpse of news and broadcasting in action! The Inside CNN Studio Tour takes you behind the scenes of the Global Headquarters of CNN in Atlanta. * Closes at 5 p.m. The Center’s theatrical and high-tech exhibits use motion, sights and sounds to immerse visitors in the American civil rights movement. Touch screen video panels bring visitors face-to-face with human rights activists from around the world. * Closes at 5 p.m. The Hall is a massive, state-of-the-art shrine for college football fans, with interactive exhibits that entertain even the non-fan visitor. Tickets carry visitor-specific data that links to various exhibits to display content about each visitor’s college football team. Guests can experience football games from the 50-yard-line using 360-degree viewers. The high definition Game Day Theatre will immerse fans in Saturday game-day pageantry with a panoramic projection display. * Closes at 5 p.m. Taste your way through Atlanta’s newest culinary mecca, Krog Street Market. This West Coast-style market, which is often compared to San Francisco’s Ferry Building Marketplace, features some of the city’s most popular food, beverage and specialty vendors. Located in the historic neighborhood of Inman Park, Krog Street is housed in a renovated 1920s warehouse and features market stalls that sell fresh meats, seafood and baked goods, alongside Southern-grown restaurants from the likes of James Beard semifinalist Ford Fry and Top Chef: Las Vegas contestant Eli Kirshtein. The Sound Table (483 Edgewood Avenue). Serving until 2:30 a.m., the Sound Table combines gourmet food, artisanal cocktails and good music for a trifecta of fun. Behind a secret door in Pizzeria Vesuvius lies the Edgewood Speakeasy, a 1920s-themed secret den of drinks. Enjoy inspired cocktails, innovative boilermakers, local and regional craft beers, and boutique distilled spirits and moonshines. Stop in for Karaoke, dance parties and $2 tacos. Arcade for Grownups: Joystick (427 Edgewood Avenue). Patrons relive their youth by playing old school arcade games while enjoying tasty cocktails and bar bites. Southern Art & Bourbon Bar is owned by Oprah’s former personal cook, Chef Art Smith. Art Smith’s eatery places a focus on regional, Southern fare served in a glamorous setting. Buckhead Atlanta combines the walkable, tree-lined streets of Paris with the haute shops of Rodeo Drive. This ultimate street-scene is comprised of six city blocks that fit seamlessly into the existing neighborhood, often referred to as “Beverly Hills of the East.” Buckhead Atlanta’s multitude of stores are the epitome of luxury. Choose from Hermès, Christian Louboutin, Jimmy Choo, Bonobos and Canali, and many others. The first-ever Georgia Shake Shack opened in Buckhead Atlanta last fall. Shake Shack is known for its 100 percent all-natural Angus beef burgers, crinkle cut fries, plus a selection of location-specific frozen custard concretes made with local ingredients from H&F Bread Co and Cacao Atlanta Chocolate Co. Since 1959, Lenox Square has been the premier shopping destination in the Southeast. Lenox recently received a face lift to its front entrance and welcomed new retail and dining vendors, including a two-story Nike store, UGG Australia, Karen Millen and the first Sprinkles Cupcakes in Atlanta. Three new restaurants will open by the end of the year, including True Food Kitchen, Zinburger and a relocated Cheesecake Factory. Phipps Plaza offers upscale shopping with more than 100 stores, including Tiffany & Co., Giorgio Armani, Gucci, Versace and Valentino. In addition to first-class shopping, Phipps offers plenty of entertainment with a 14-screen AMC movie theatre, LEGOLAND Discovery Center and dining at Davio’s Northern Italian Steakhouse. Chef Ford Fry’s menu is inspired by the flavors of the southern European coastline and serves up Italian seafood, pasta and specialty cocktails in an elegant setting. Sip on the La Bella Donna, with Amaro CioCiaro, Casoni 1814, Strega, Grapefruit, and Prosecco. Atlanta is known for its many diverse neighborhoods across the city, and its mass transit system: MARTA allows for easy access to many must-see spots. Whether you are visiting world-class attractions or enjoying retail therapy, a quick ride on MARTA gives city-goers an easy way to traverse the Big Peach. Convenient to two shopping malls, Lenox Square and Phipps Plaza, the Lenox MARTA station sits in the heart of the city’s top retail shops and boutiques. Both properties are walkable from the station and include everyday names like White House Black Market, Macy’s and GAP, along with high-end shops including Burberry, Louis Vuitton and Prada. The station is also convenient to many of Atlanta’s well-known restaurants such as St. Cecelia, South City Kitchen and Seven Lamps, making a bite to eat easy to come by. “The Hunger Games” movie series. Arts Center station is true to its name and stands surrounded by Atlanta’s renowned museums, art installations and performing arts venues. Woodruff Arts Center houses High Museum of Art, Alliance Theater and Symphony Hall, home to Atlanta Symphony Orchestra. While High Museum of Art boasts a large collection of contemporary and classical exhibits, the nearby Museum of Design Atlanta hosts collections of work dedicated to all things design. For a more unique experience, a quick walk down the street from Arts Center station leads to the Center for Puppetry Arts: one of the largest organizations dedicated to the art of puppetry in the U.S.
A 10-minute walk from Midtown station puts you in the midst of one of Atlanta’s largest parks and greenspaces, Piedmont Park. 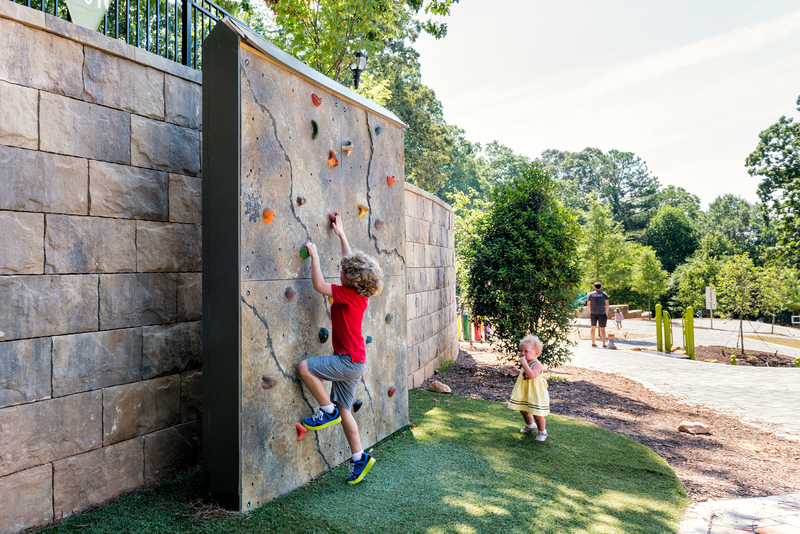 In addition to its extensive running trails, athletic fields, pool, pond and multiple playgrounds, Piedmont Park hosts some of the city’s largest outdoor events including the annual Dogwood Festival, Music Midtown and seasonal farmer’s markets. Here, you will be a few steps away from several trendy restaurants including Einstein’s, Henry’s Midtown Tavern and Empire State South – all popular spots for weekend brunch. 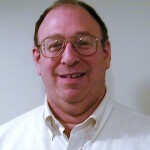 Joey Kline is a board member at Advance Atlanta: a local organization working to improve regional transit and support existing throughout the Atlanta region. For more information about Advance Atlanta, go to http://advanceatlanta.com/ourstory. Stick to the city limits. There are many areas in the city of Atlanta that are tough to get around without a car, but it gets infinitely harder when outside city limits. There are plenty of central neighborhoods that can be traversed on foot, bike, or public transit. The best neighborhoods to stay, without needing a car, are: Midtown, Virginia Highland, Inman Park, Decatur, and the Old Fourth Ward. West Midtown and Hyatt Midtown are close to Piedmont Park. Two Urban Licks (http://www.twourbanlicks.com/ or call (404) 522-4622). 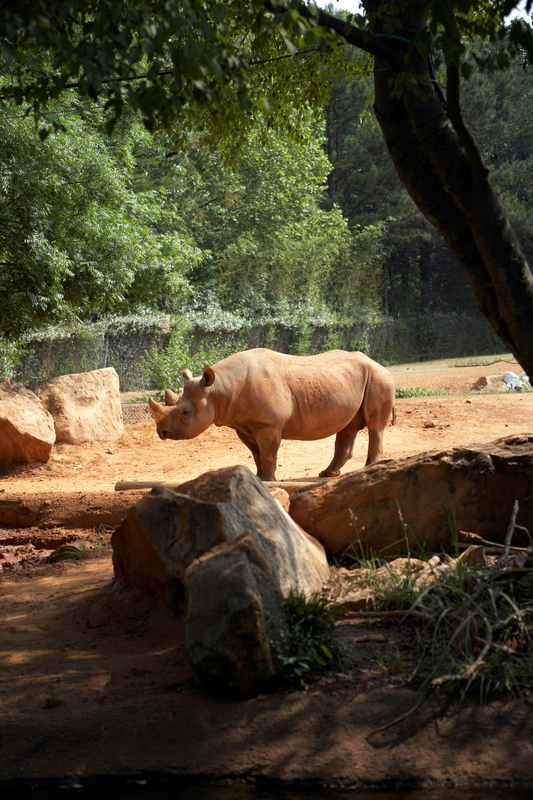 Joey recommends that walkers explore Piedmont Park and the Beltline. “Piedmont Park is the crowning jewel of greenspace in Atlanta, and in walking distance of the business/cultural center of Midtown. The BeltLine is a walking and bicycling paradise. The paved portion runs through Midtown, Poncey Highlands, the Old 4th Ward, and Inman Park. Museums and other cultural attractions: Fernbank, Atlanta History Museum, High Museum, Civil Rights Museum, and the Georgia Aquarium. Fernbank is also a good choice for anyone interested in science. For evening entertainment, the following locations are next to public transit: Stage, Tabernacle, Terminal West, Masquerade. Center Stage and Tabernacle. The Atlanta Streetcar (not part of MARTA) runs 2.7 miles in the middle of downtown Atlanta, and makes stops at Centennial Olympic Park, Martin Luther King Memorial Center, Sweet Auburn Market, plus many additional stops. For more information about the Atlanta Streetcar, go to www.atlanta.net/explore/transportation/atlanta-streetcar/. 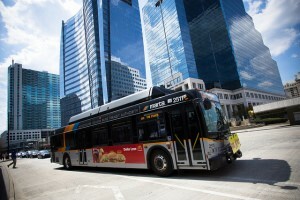 For information about using public transportation to see Atlanta: Go to: www.itsmarta.com or call: (404)-848-5000. Do you have a favorite vacation spot that can be enjoyed without a car? E-mail your ideas to steveatlas45@yahoo.com. Please include your contact information so Steve can get back to you with any questions.